Congratulations to our December Readers’ Rides winner, JP Franken! His snowscape wins him a RING 14W Solar Power Charger worth R1 800, courtesy of Xinotech. 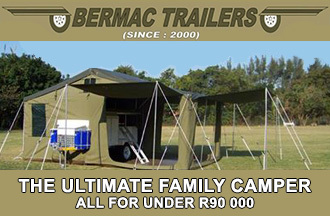 To stand a chance of winning one of your own, simply follow the instructions at the bottom of the page! 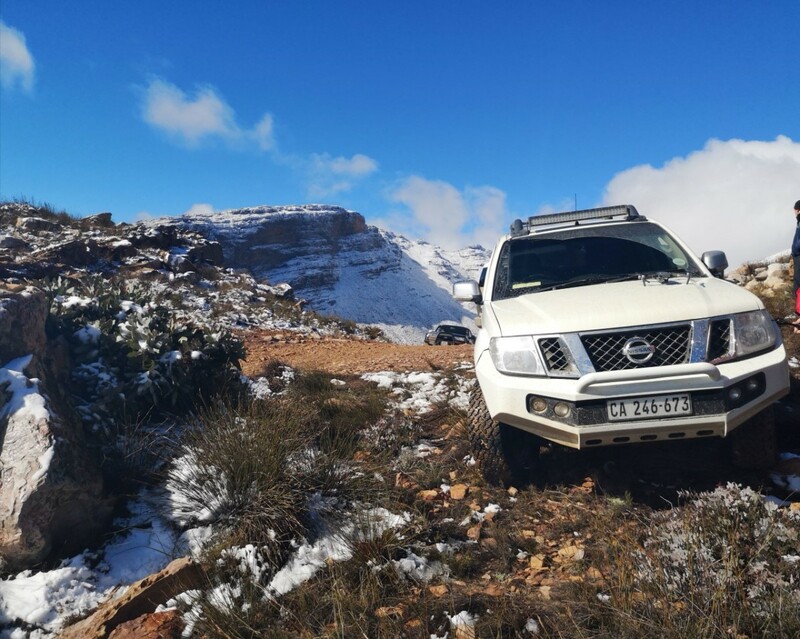 The Matroosberg can be a cruel mistress in winter, but it seems like JP’s 2011 Navara 2.5 LE 4×4 made it up there with no complaints. 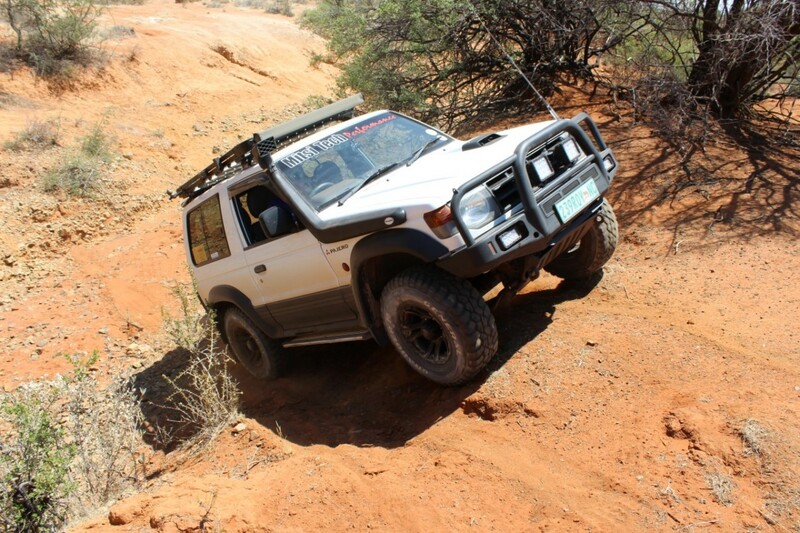 The white knight is fitted with an African 4×4 bumper and a 4x4Direct 50mm lift, rolling on Velocity Raptor tyres. 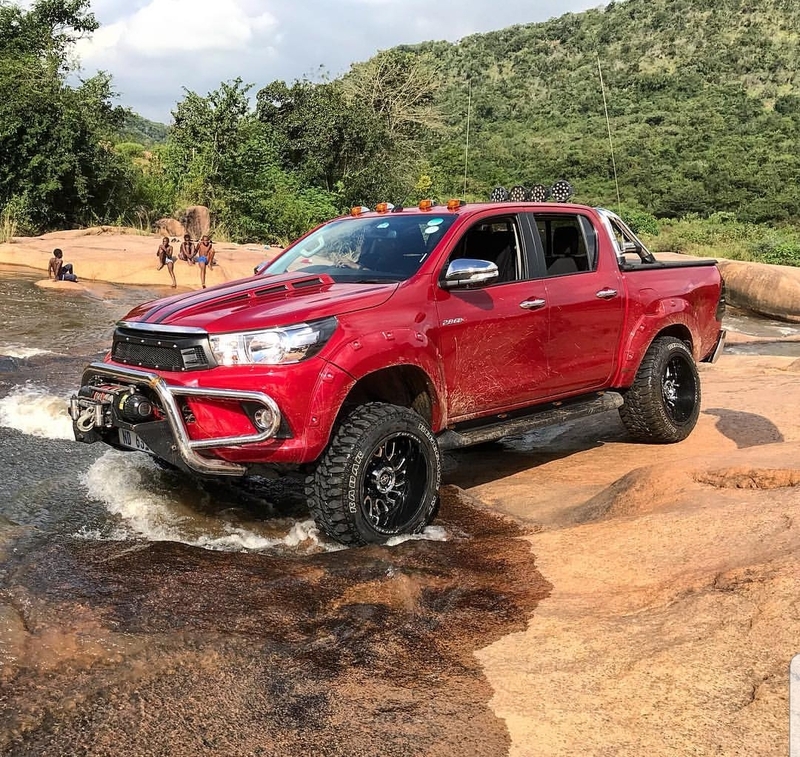 Listen, we’ve seen some pimped-out Hiluxes in our time, but this one surely takes the cake. Romaine’s red machine looks like it could climb over pretty much anything with those massive tyres, and the bodywork could put any Japanese street tuner to shame! 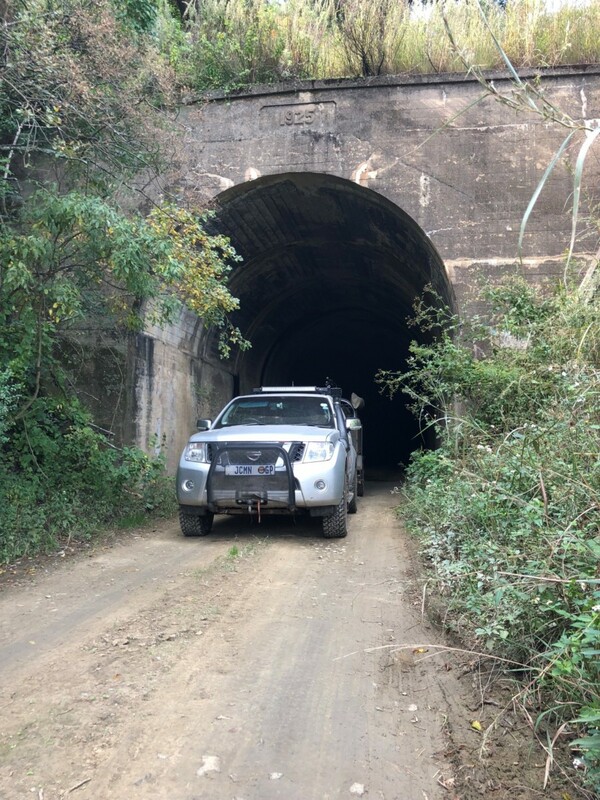 This snapshot of Jan’s Navara was taken at an old tunnel near Injisuthi on the Van Reenen’s Railway Pass in KZN. Jan says it was quite dark in there, so we’re glad he and his Nissan made it out without any damage! 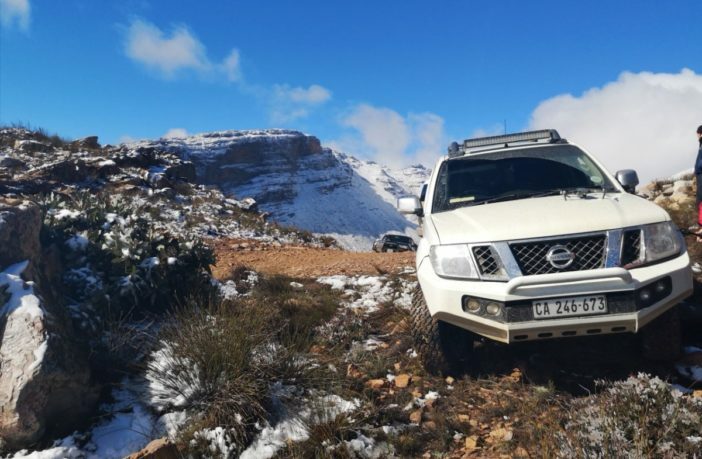 Roy and his son recently took their rigs out to a farm called Grove between Griquatown and Postmasberg in the Northern Cape, and it looks like things got a little steep! His 1998 Pajero SWB looks up to the task with its more than capable 3.2 DiD power plant. 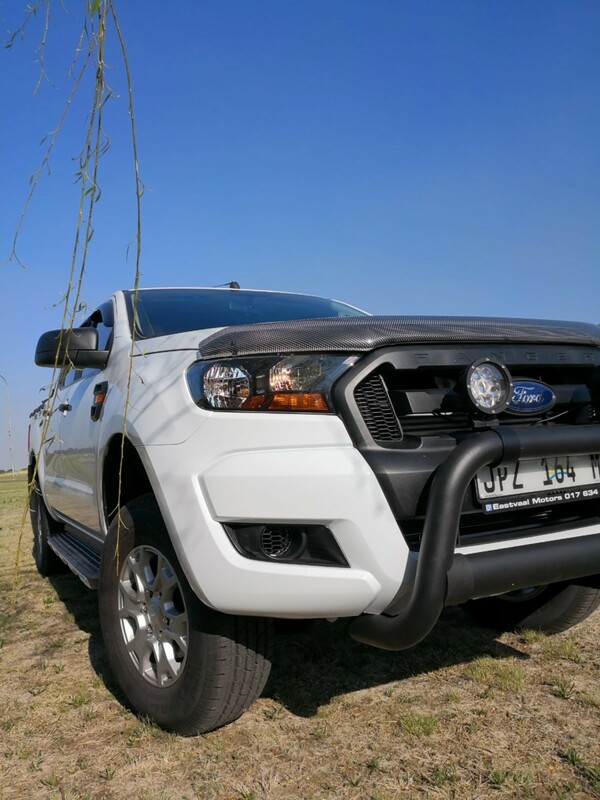 Riaan is mighty chuffed with his new purchase: a 2018 Ford Ranger XL 2.2 2×4 with diff-lock. It’s got 118kW of power and all the extras Ford could offer, including a nudge bar and roll bar. Riaan has also raised the suspension by 60mm and added spotlights, but he promises there’s much more to come! 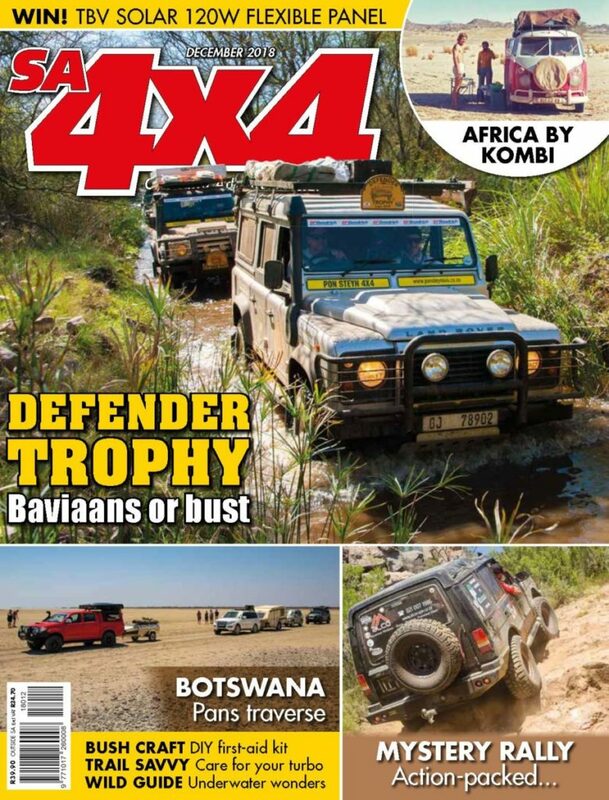 TERMS & CONDITIONS: Email your Readers Rides entry to editor@sa4x4.co.za. 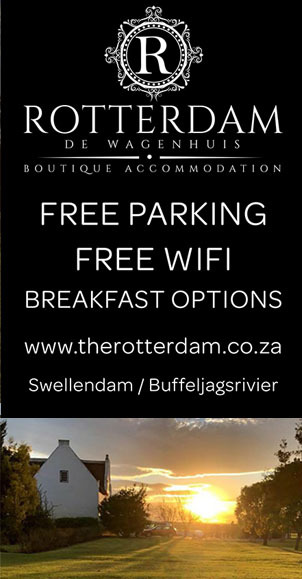 Only hi-res images (1MB or larger) will be considered – no cellphone pics. Please provide a description of the vehicle and the place. 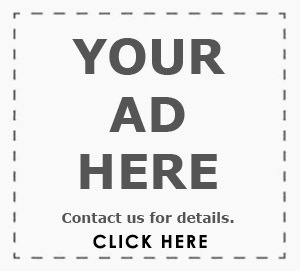 Remember to include your Name, Delivery Address and a Contact Number.